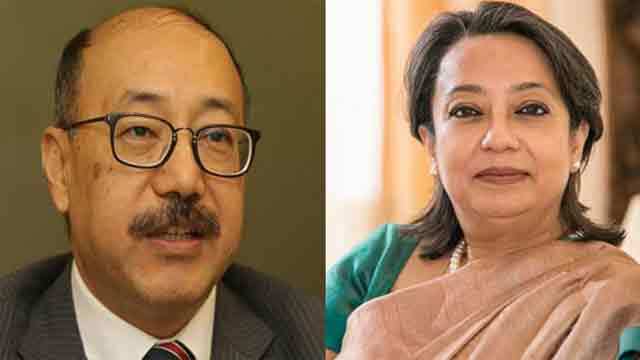 Dhaka, Sep 11 (Just News): Indian high commissioner to Bangladesh Harsh Vardhan Shringla is likely to become India's next ambassador to the United States, replacing Navtej Sarna, who is scheduled to retire at the year-end. Shringla is likely to be replaced by Riva Ganguly Das, currently in charge of the ministry of external affairs’ culture arm, the Indian Council for Cultural Relations, in Dhaka, reports Times of India. The Indian government is planning a rash of changes in its envoys to a number of key world capitals, it said. Shringla was appointed Indian High Commissioner in Dhaka in November 2015.